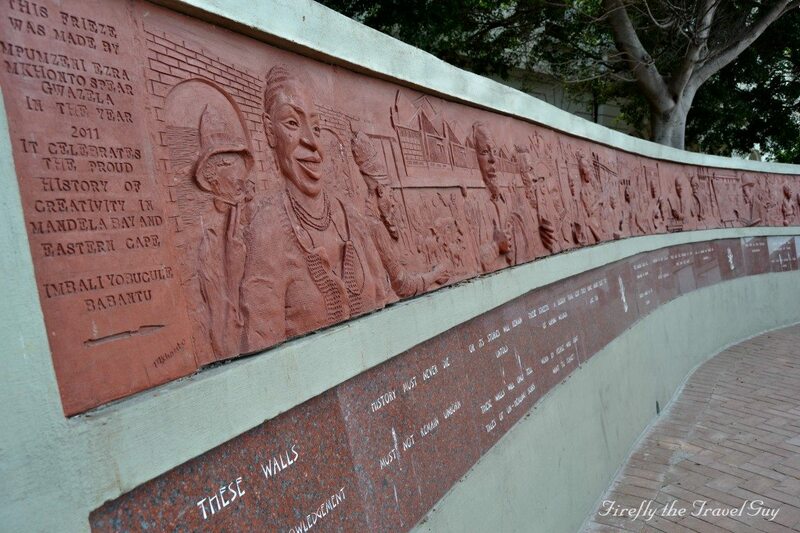 If you started a walk along Route 67 at the Campanile then the Campanile Frieze and Wall of Texts would be one of the first art pieces you'll see. Both of these are done by artist Mkhonto Gwazela. The frieze at the top celebrates the indigenous heritage of Nelson Mandela Bay and the Eastern Cape with the sculpted visual image being cast in concrete along the curved wall. The poem just below is engraved into locally-sourced granite. The Port Elizabeth harbour achieved "port" status for the first time in 1825, long before a proper harbour even existed. Back then a harbour master was appointed to regulate and oversee the offloading of ships anchored offshore with goods and people being brought to shore in rowboats. An official surfboat service was established in 1836 and this was followed by the construction of the first jetty in 1837. 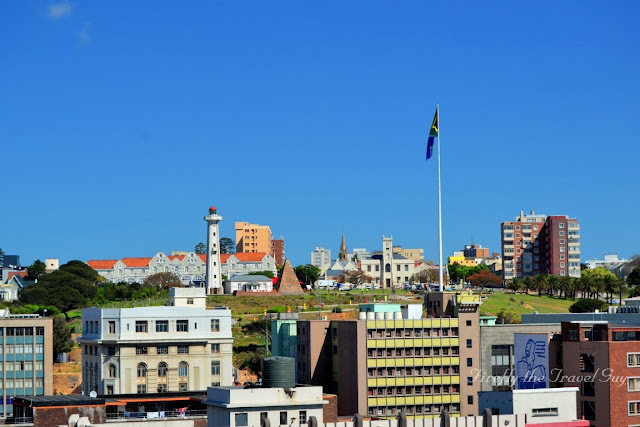 It wasn't until 1933 and the construction of the Charl Malan Quay (No.1 Quay, now used as the Container and Car Terminals) that Port Elizabeth had a proper port. Due to security one can't explore the harbour properly, but you can get to the harbour wall at the bottom end of Kings Beach. Just remember that you're not allowed to walk onto the harbour wall because if you do you're going to have a security guard on your case very quickly. The view back along Kings Beach with the beachfront in the background is magnificent though. One of Port Elizabeth's favorite museums is No 7 Castle Hill. 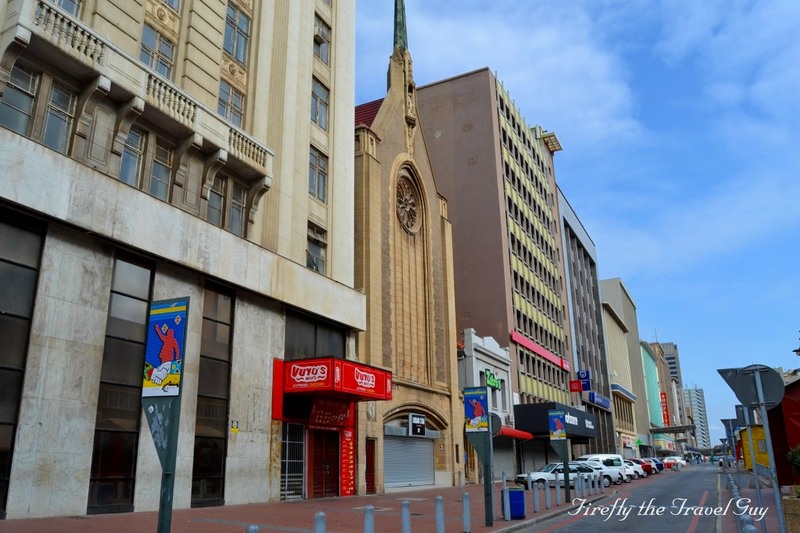 The history of the building goes right back to the early days of Port Elizabeth with Rev. Francis McCleland building it as his parsonage and family home in 1825. 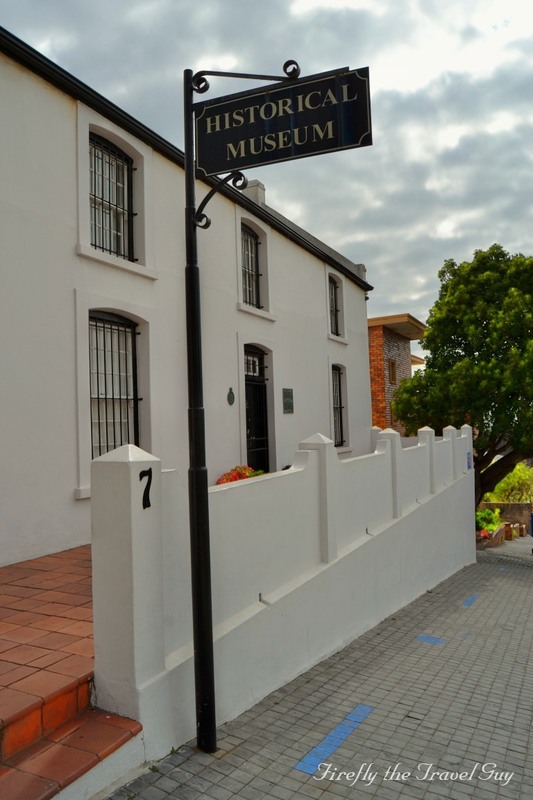 The house is one of the oldest remaining dwelling houses in Port Elizabeth and is furnished as a mid-Victorian period family home. A lot of the furniture and items in the house comes from the 1840–1870 era to show visitors what life was like back then. The house was declared a National Monument in 1962 and became a museum in 1964. Anybody who knows Port Elizabeth and has been down to Govan Mbeki Road (Main Street) in the city centre, would know St Mary's Anglican Cathedral near the Public Library. But not just know it. Also be aware of the old United Building Society building that stands on the corner in front of it blocking a proper view of the whole church and causing the front of the church to look like it's standing on its own between the high rise buildings away from the rest of the cathedral behind. In 1843 St Mary's Church had to sell off pieces of its land to fund a building project and by doing so lost possession of some extremely valuable frontage to Main Street. At that stage there was a servitude upon the property which prevented the stores built upon it from being raised high enough to block out St. Mary’s Church from the Main Street, but this eventually changed in later years which led to the situation we have today. 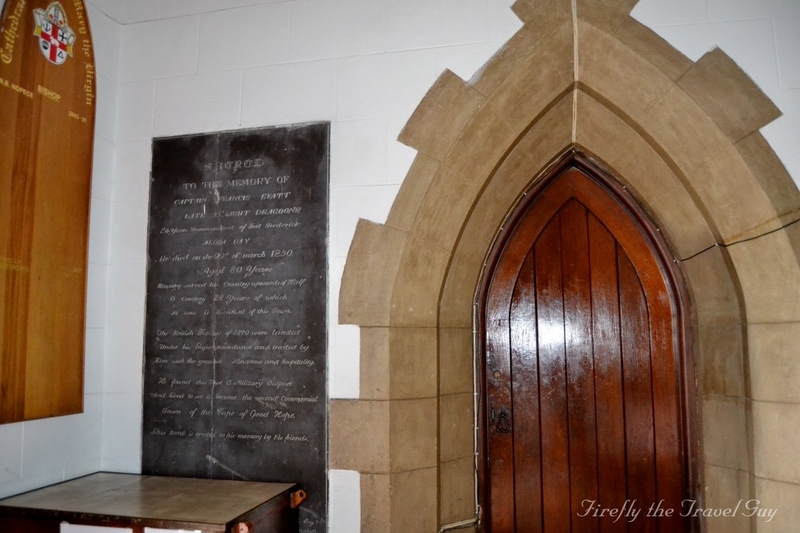 On a walk along Route 67 the other day I popped into St Mary's Cathedral and was reminded that the original gravestone of Captain Francis Evatt was located in the entrance area of the church. Something a lot of people probably didn't know. 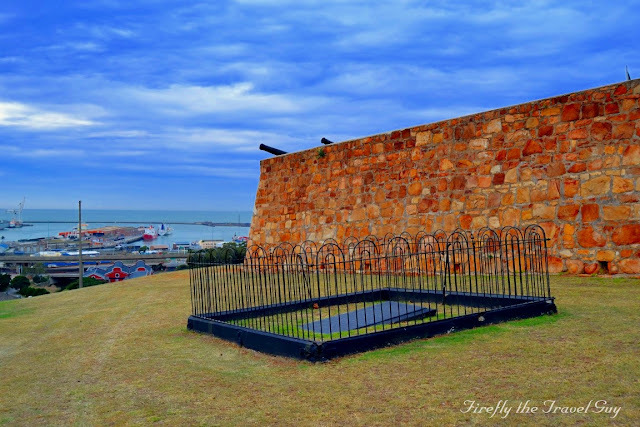 Captain Evatt was commander of Fort Frederick from 1817 until his death in 1850 and is often called the Father of Port Elizabeth because of the role he played in the early years of the town's development. Among the things he did was to oversee the landing of the British Settlers in 1820 and he laid the foundation stone of St Mary's Church in 1825. After his death on 21 March 1850 he was given a military funeral in the Congregational Cemetery in Russell Road. 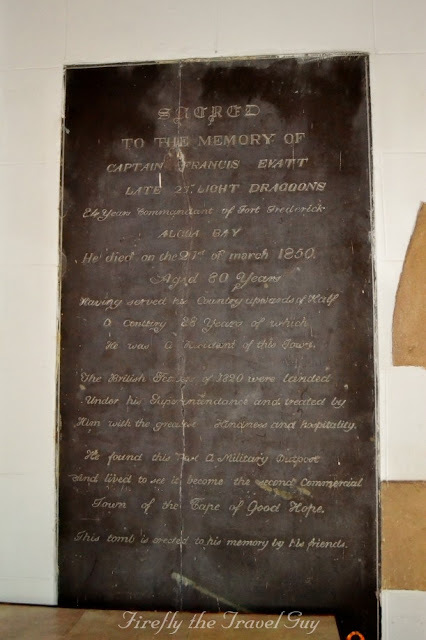 Evatt's remains were moved to a spot outside the Fort in 1956 and a replica gravestone was erected, with the original being placed in St Mary’s Cathedral. The days of saying there is nothing to do in Port Elizabeth is long gone. Loooonnnngggg gone. Yes, a lot of the activities on offer is going to set you back a few bucks, but it's exactly the same wherever you are in the world. We've had to choose very carefully this summer holiday is everything does add up to quite a lot if you do something that costs money every day. Supertube, laster games, ice skating, go-carting, wall climbing, putt-putt, and, and and. Another one of the once that we did take the KidZ to was the Gravity Indoor Trampoline Park. We went on a "two hours for the price of one" day and if the KidZ could go longer they would have. 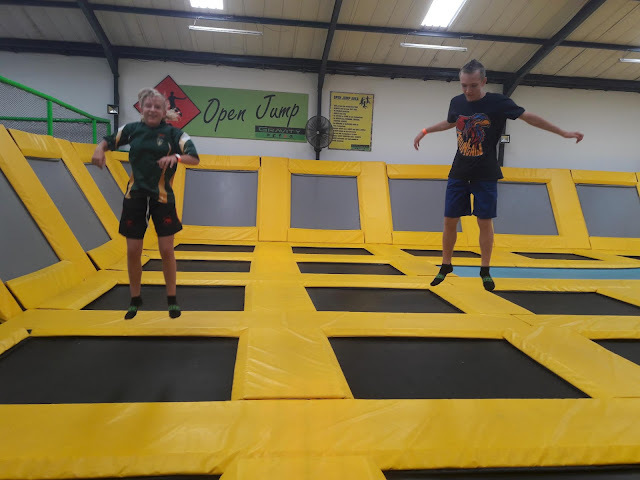 The trampoline park offers so many different options of trampolines from the trampoline field to eurotramp pro trampolines, dodge ball, foam pit, slam dunk, and lots more. Remember Laser Games? Wow, we used to play so often back in the days when there was still an arena at the old tenpin bowling and game centre next to Greenacres. It's probably been a good 20 years since they closed down there so I was very excited to see that there are laser Games back in town. Last week we took the KidZ for a game and the moment I headed into the room with the gun in hand all those memories came flooding back. Best of all, now I can play it with my KidZ. If you want to give it a go, you'll find LASER HEADQUARTERS at 44 Second Avenue, Newton Park. 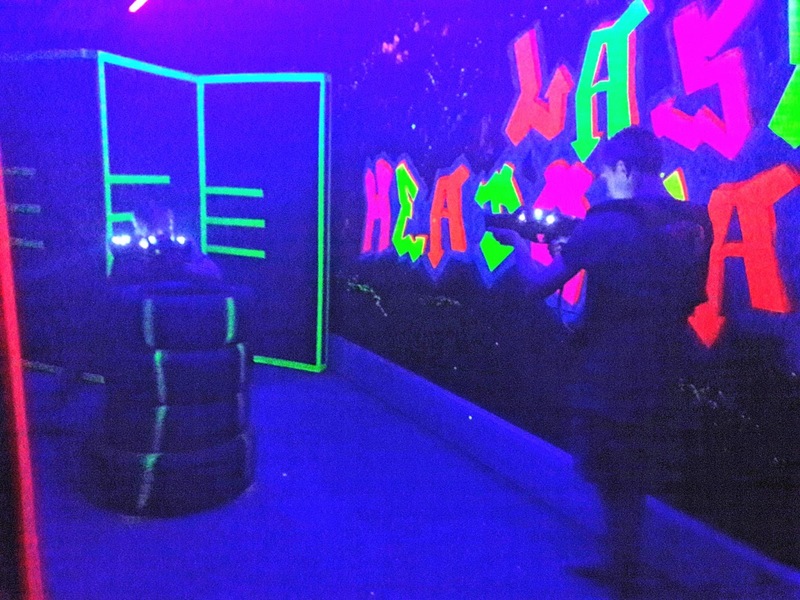 They are open daily from 9am to 9pm and the cost is R60 for 2 x 15 minute games. All their contact details, if you need more information, can be found on their Facebook Page - laserheadquarters. Although I posted a number of posts featuring the newly renovated and reopened Campanile towards the end of the year, I decided to do another one as a follow up of yesterday's post. The first post of 2018 featured the Donkin Reserve, one of Port Elizabeth's most iconic attractions. The Campanile definitely is another one of those. 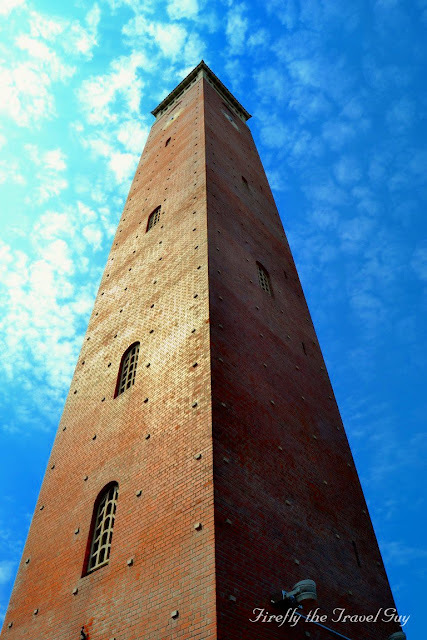 The word Campanile comes from the Italian word campanile which means bell tower with our Campanile holding 25 bells. Originally there were 23 bells with 2 being added during the recent renovations. And with that 2017 is gone and 2018 have arrived. I have seen a lot of people say that they are glad 2017 is over and done with and I took a little time to contemplate my own 2017. I came to the conclusion that it actually wasn't a bad year for me at all. It was very busy though both from a personal as well as a work point of view and right now I can't see 2018 being any different. I will just have to work smarter and not necessarily harder. One of the things I really need to do is find some more time for both my blogs. PE Daily Photo took a slight break in 2017 and I'm not pressuring myself to post something every day anymore. Unfortunately I totally neglected Firefly the Travel Guy though and I really need to focus on it a bit more than I did last year. But all in all here's to 2018. May it be a great year full of all things nice. Health, wealth, family, friendship and all kinds of blessings. I'm kicking 2018 off with a picture featuring one of Port Elizabeth's most iconic sites, the Donkin Reserve. This time seen from the top of another iconic site, the Campanile.